Should Your Medical Center Use Microfiber Mops? Cleanliness is next to godliness, and there is no industry where cleanliness is more important than the medical field. Urgent care centers, hospitals, and outpatient facilities must maintain a clean appearance and sanitary environment at all times to protect the wellbeing of their patients. Across the country, medical centers are making the switch to microfiber mops to reduce cross contamination and improve the cleanliness of their facilities while cutting down on cleaning costs. Microfiber mops will improve the cleanliness of your facility while cutting down on cleaning costs. Microfiber is a unique synthetic fiber that is 100% lint-free and incredibly strong. 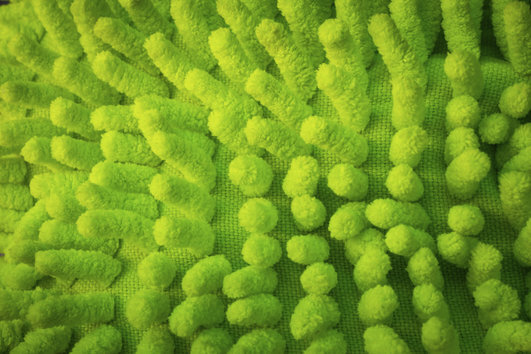 Each microfiber is 1/100th the size of a human hair and contains millions of tiny spaces which trap water, dirt, and grime. In fact, a microfiber mop can hold up to eight times its own weight, which is 30% more than a traditional mop can absorb. According to a study done by the Royal Roads University, microfiber mops remove 99.4% of all bacterial from smooth surfaces when used with water alone. A study by the University of California Davis Medical Center (UCDMC) found that the costs associated with mopping were reduced by 95% when facilities switch to microfiber. The same study also found that facilities could expect to see a 20% savings on labor per day by switching to microfiber products. Even more importantly, microfiber mops can help eliminate the threat of cross-contamination because a new product is used in each room. According to the Centers for Disease Control and Prevention (CDC), over 2 million hospital-acquired infections occur annually, and over 1/3rd of these could have been prevented with proper cross-contamination containment efforts. Microfiber mops can go a long way in keeping your medical facility cleaner and healthier. If your Baltimore office or building is looking for high-quality logo mats, just give Lord Baltimore a call, 410-558-3362! For over forty years, Lord Baltimore has provided reliable, cost-effective uniform rental and dust control solutions throughout Maryland, Washington DC, Northern Virginia, Southern Pennsylvania, and Delaware. We also specialize in microfiber cleaning products, as well as terry cloth towels, mats, mops and other products. This entry was posted on Friday, July 22nd, 2016	at 12:44 pm	. You can follow any responses to this entry through the RSS 2.0	feed. Both comments and pings are currently closed.